FIFA President Gianni Infantino received assurances from Iran that female fans will “soon” be allowed into football stadiums after they were blocked from getting into a game he attended in Tehran. 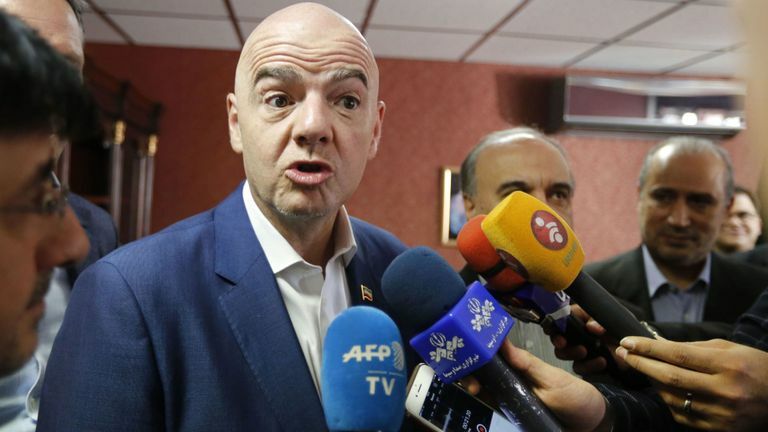 Infantino did not specify who made the pledge, nor did he address the fact only men are allowed into Iranian stadiums during a speech in the country on Thursday. There was only passing reference to women’s soccer in the address in Tehran. While Infantino did use the speech to tell Iran “much more can be done,” that was in reference to the awarding of television rights.